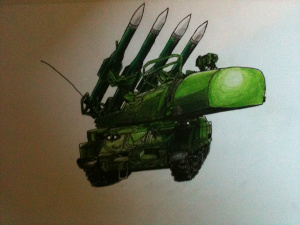 Buk M1 by Michael Taras. Check his blog out, he’s a pretty good artist! This is the place where I will post all of the latest photos of the Russian military, along with information, history, and personal comments. This blog is intended for an English-speaking audience who are interested in Russian military photos and information. The photos I will post will only be the most modern Russian weapons and will cover the Navy, Air-force, Ground Forces, Special Forces, and small arms.